In the words of English playwright, author and actor, a classic is ‘a book that everyone is assumed to have read and often thinks they have’. So, how many have you read? Penguin Classics amass the largest library of classic literature in the world today, and more titles join the list every year. In the early days, the editors were concerned they would run out: ‘How many more titles in the classical literature of the world are there?’ asked Penguin editor-in-chief William Emrys Williams apprehensively, after 60 Penguin Classics had been published. He needn’t have worried. As times have changed, so too has this extraordinary list. Even the very definition of ‘classic’ continues to evolve and expand to embrace new languages, formats, styles and audiences. 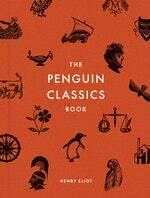 The Penguin Classics Book celebrates the literary merit, historical significance and an enduring reputation of every book on the list. Here is the story of the unlikely translation that started it all. Towards the end of the Second World War, with his wife’s encouragement, Rieu submitted his translation to Allen Lane, the founder of Penguin Books. It was not a promising proposal on the face of it: eight versions of the Odyssey had been published between the wars, including five new translations, of which only two had sold more than 3,000 copies. Moreover, Rieu was not an established academic. He was a retired publisher of educational textbooks; his one previous publication was a 1932 collection of whimsical children’s verse called Cuckoo Calling. In a characteristically impulsive and ultimately shrewd move, however, Lane not only accepted Rieu’s translation of the Odyssey, he appointed him general editor of a new Penguin series, a ‘Translation Series from the Greek, Roman and other classics’.